Help fill a bus for our friends in Haiti! 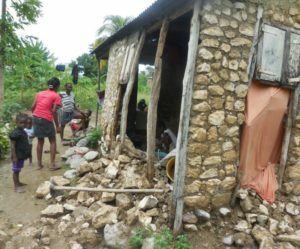 Hurricane Matthew’s high winds wiped out most, if not all of the crops, in Bayonnais and has left the people without food. We are collecting bags of rice and beans to place in a bus that will be driven to Miami and shipped to Haiti. We are collecting monetary donations as well, just click this link DONATE TO HAITI. Donate bags of rice or beans in 15 to 50 lb. bags from warehouse stores like Costco, Sam’s, BJ’s – – costing $10 to $17 (a 50 lb. bag will feed up to 30 people/meal) or donate smaller 3-5 lb. bags from the grocery store! The bus will be parked in the Hopedale parking lot for drop off MON-FRI from 9:00 a.m. – 7:00 p.m. and will be driven over to a few other churches acting as collection sites on the weekends. For more information contact Steve Breckenridge at sbreckenridge@carolina.rr.com or 704-231-1138. Work team forming, continuing to offer prayers and monetary support for the Eastern NC area flood victims following Hurricane Matthew. Want to get to know the author of the illuminating “Notes from Nathan” while helping out your neighbors in need? Then travel to Lumberton next Thursday and Friday (Oct 27 and 28) and work alongside Nathan Arledge as he helps clean and repair a flood-damaged home. Training and support provided by on-site supervisor, so lay servants of all skill-levels welcome. Housing is available or you can come down just for the day – either Thursday or Friday. If available to serve, please email missions@mpumc.org for more information. Several ways to donate: You can make a donation at www.myersparkumc.org/give. Or you can also write a check to the church, put NC Flood Relief on the memo line and put it in the offering plate, drop it off anytime at the front desk in the Parish Life Building lobby or mail it to 1501 Queens Road, Charlotte, NC 28207. 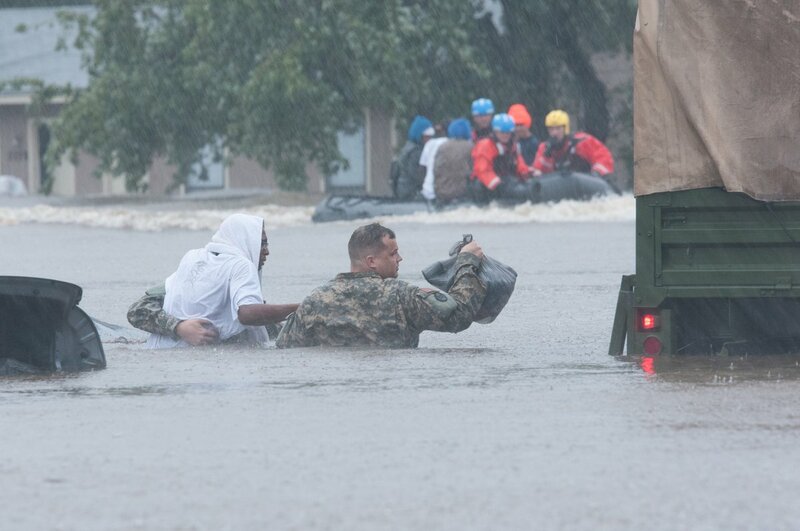 Another option is to text MPUMC NCFlood to 73256 to give to the NC Flood Disaster Relief fund through text messaging. Special thanks to all who donated flood relief supplies that were delivered to Eastern NC this week! Be a part of new mission trip to serve flood victims in Louisiana. More than 100,000 homes and businesses in and around Baton Rouge are still coping with the devastation from 24 inches of rain in August. An MPUMC team is forming to travel there Oct. 15-26 to assist with the cleanup efforts. Team members may stay the entire time or a portion of the time. We will be working with the Louisiana Methodist conference coordinator to schedule our daily projects. Please contact Mary Kelly, mary.f.kelly@gmail.com or 704-377-1223 for details.